Theater Solutions by Goldwood home theater center channel is newly designed for consumers who demand powerful bass in a compact package. High quality, lush bass and a full bodied sound at an affordable price. This speaker is perfect playing movie soundtracks or Mozart sonatas. Made with only the highest quality, moisture resistant materials to deliver unsurpassed sound in any listening environment. 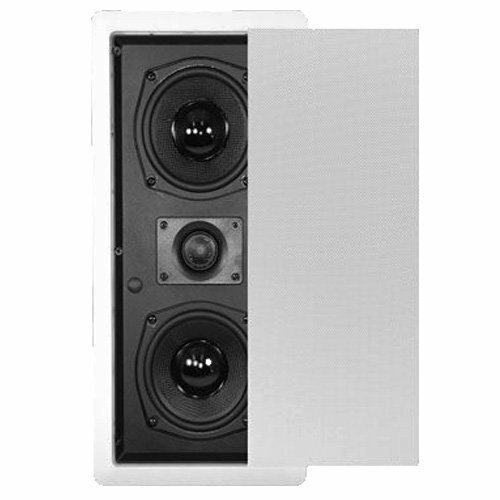 Sophisticated design and measurement equipment, including computer assisted design software were used to design this center speaker to achieve an optimized balance and interface between components to give better quality performance and longer life.